ETC is getting ready to show a range of new and updated products at this year’s PLASA Focus in Leeds. The newly released Eos v2.0 software, which introduces a new Magic Sheet function, will be available for demonstration. Designed to make programming even easier with Eos-line control desks, Magic Sheets allow users to set up customised, interactive live/blind displays organise and work with channels in ETC’s traditional tombstone view or via channel symbols. Eos v2.0 software is released simultaneously with the latest addition to the Eos control desk line, the Eos Titanium, which was first seen at Prolight + Sound in Frankfurt and which uses new hardware and features to make designing and programming even easier. Also on the stand and available for demonstration will be the new 50W ETC Source Four Mini; and Source Four LED Studio HD. At 23cm long and weighing just 740g, the Mini is the tiniest Source Four ever, and is designed for small-scale installations, like low ceiling venues or puppet theatres, as well as museums, shops, theatre lobbies and restaurants, or those which need an extremely low-profile fixture that can easily blend into an architectural or artistic design. Four lucky winners picked up a free Source Four Mini at Prolight + Sound. The Source Four LED Studio HD, meanwhile, is designed to perform in a high definition production world where people (with varying flesh tones) need to look their best. The fixture combines exceptional light output with an ultra-flexible, variable white light (2700K-6500K), for more accurate colour rendition on camera, and uses the colour technology of ETC’s Selador x7 Color System for a more spectrally complete white light that can be finely tuned to the on screen talent. Also on display, the new ES1 dimmer brings the same power control and efficiency behind ETC Source Four Dimmer to any other tungsten luminaire of up to 1500W. 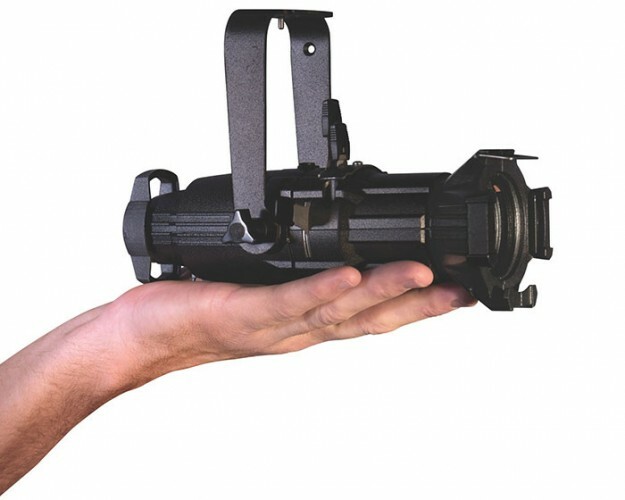 Designed for concert halls, theatres and anywhere that distributed silent dimming is needed, the ES1 improves lamp efficiency and brightness, while eliminating the need for a separate dimmer room in the theatre. In the seminar area on Tuesday afternoon, ETC’s technical director Adam Bennette will be leading a discussion about how to design new systems that support both tungsten and LED lighting in a rational and sustainable way. The talk looks at LED technology with particular regard to inrush and leakage current, preserving the green benefits of lower powered lighting and giving lighting designers freedom to use new and old sources as they wish. ETC’s PLASA Focus stand, which is in the New Dock Hall, number C6, will also be showing previews of a number of other new products which are set to launch in the summer.